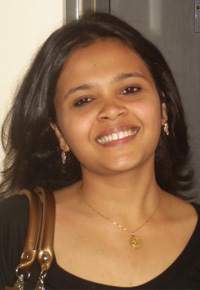 Today we’re talking with The Diplomat columnist Shreyasi Singh, an independent journalist based in New Delhi. Can you tell us a bit more about how you ended up being a writer – is it something you’d always wanted to do? I’ve always enjoyed writing—I was part of my school and college editorial boards. But, it was the excitement of news, especially television news, that prompted me to enroll on a journalism course. But, the frenetic excitement of broadcast news wore off after a few years. I knew what I enjoyed most about the process, apart from meeting new people and following different stories, was coming back and putting words to thoughts. TV isn’t the most conducive place for great writing. Visuals rule the game and poor writing can be camouflaged by other tools. To really develop my writing skills, I knew I had to work on longer, news feature assignments. I find the process of writing absolutely fascinating—how an empty word document, some thoughts and a few conversations can give way to a little slice of history. Has being a woman had any impact on how you’re able to do your work in India, for good or bad? There isn’t obvious discrimination when being a woman journalist. Many large news organisations have a tremendous amount of women leadership, with women working in all departments of news production. Of course, there are safety issues when you travel to smaller towns or villages in India, where people might not be as used to seeing women in such roles. But, there are advantages here as well. Being a woman has helped me get deep into a story. I’ve been able to go inside homes to interview women and families—male correspondents might not be granted that privilege. What annoys me often, though, is the need people have to figure out a woman. I often feel interviewed before I can go ahead with an interview. In India, privacy isn’t always diligently protected. And, while reporting, I almost always have people ask me where I live, where I studied, if I’m married and/or have children. Few male journalists are subjected to that kind of inquisition! What do you think about the state of the media in India today—is it healthy? Certainly, India is blessed to have a free, robust media, and an exhaustive mix of national, regional and vernacular press. Even as print publications die across the world, newsstands here seem to be adding more and more titles every month. There’s a hunger for news, I think, few countries can match. But there are definite problem areas. Broadcast news, especially, is a young medium in India. And, the explosion of news channels has catalysed an intense viewership battle which has often led to dangerous sensationalising and shrill reporting. Often, and sadly this is more true of Hindi news channels, non-events are hyped into national emergencies with little restraint. TV news has also allowed itself to be co-opted by the Hindi film industry and cricket, and minor happenings in these beats are regularly given undue attention. I also fear our media is in danger of becoming extremely insular. There isn’t enough international news in our bulletins. And, often that has a serious side effect, of giving way to a lopsided view and understanding of our own country within the world order. We need to guard against that. Would you like to work overseas as a correspondent at any point? Of course, I’d be delighted to work overseas. The thrill of being a journalist lies in discovering new stories and finding hidden truths. I’d especially like to work in China. It’s such an exciting country and one people around the world are trying to understand, to decode. But, what’s great about writing in India now is that because the country is going through such rapid changes, stories abound here as well. What’s the most memorable story you’ve worked on, and why? I started working as a trainee reporter with Asian News International, India’s oldest and largest TV news agency in mid-2001. It was an exciting year to begin a career in news. Weeks after I joined, the Agra Summit—a landmark dialogue process—took place between India and Pakistan. I was chosen as part of the team that would cover the event across Delhi, Agra and Ajmer. I was given a Press Information Bureau accreditation which enables you to access select venues and critical government departments. Reporting on such a high-profile event was an incredible opportunity. At the end of the same year, India’s Parliament was attacked by a group of terrorists. Our office was barely a few kilometres from Parliament. And, the series of events this incident set into motion were both terrifying and thrilling to cover. It nearly brought India and Pakistan to the brink of war. Those were 17-hour work days. I don’t think I’ll ever forget that day, December 13, 2001, and especially the moment when our office found out one of our camera people had been injured in the attack. That was a news event which was viscerally up, close and personal. Nearly a decade on, few stories have come close to having that impact.